Leora Ya’Acova Wolf-Prusan is the Director of Community Engagement and Teaching at the Center for Applied Research Solutions (CARS) where she is the field director for SAMHSA’s Now is the Time Initiative ReCAST (Resiliency in Communities After Stress and Trauma) and commits to national work on violence prevention in schools, positive youth development and engagement, and trauma-informed systems change and school practices. 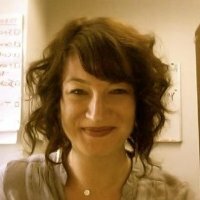 She is happiest when involved with anything that relates to being in experiences of difference and discomfort, facilitation, human learning design, training and coaching, and is dedicated to work focused on mental health, wellness, and trauma-informed approaches to education and operates through a framework in which public health, social work, and education intersect. She received a BA in International Relations and a BA in Spanish from the University of California, Davis; a teaching credential from Mills College; and an EdD in educational leadership from the University of California, Los Angeles. A native San Franciscan living in the Los Angeles diaspora, Leora is a doula, trained yoga teacher, avid orange eater, podcast-listener, challah-baker, hosting-maven, and will choose pie over cake any day.